Ghana’s John Boye, left, and Portugal’s Cristiano Ronaldo during the Group G match between Portugal and Ghana in Brasilia, Brazil. 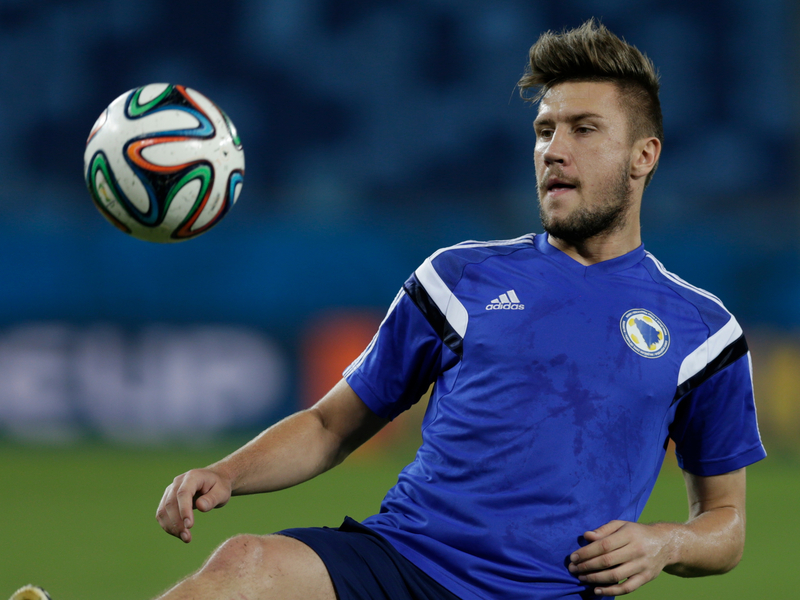 If there have been breakout stars at this year’s World Cup, they’re certainly the bold hairstyles sported on some of the world’s top teams. There are seemingly countless mohawks, faux-hawks and ‘dos that can really only be called a “Macklemore” on the pitch at the premier soccer tournament. Countless, that is, before today. We pored through each of the 56 World Cup games so far to inventory the haircuts of the starting lineups for each of the 32 teams in the tournament. 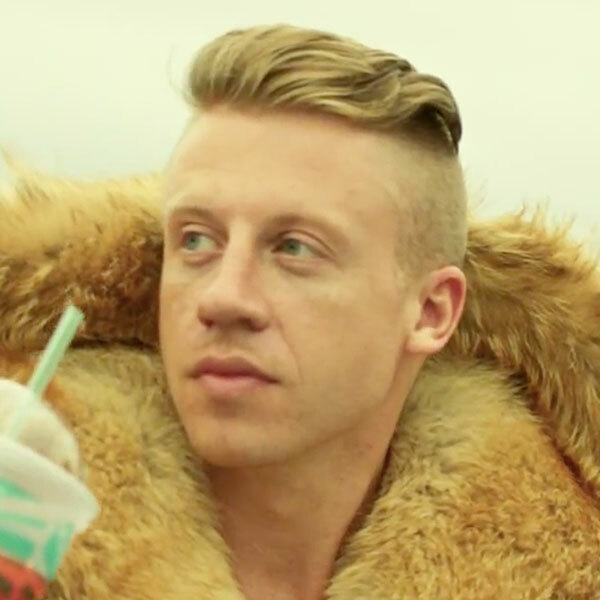 We counted up every striking mohawk, all of the slightly less committed faux-hawks and, of course, the lamentable-in-retrospect Macklemores. 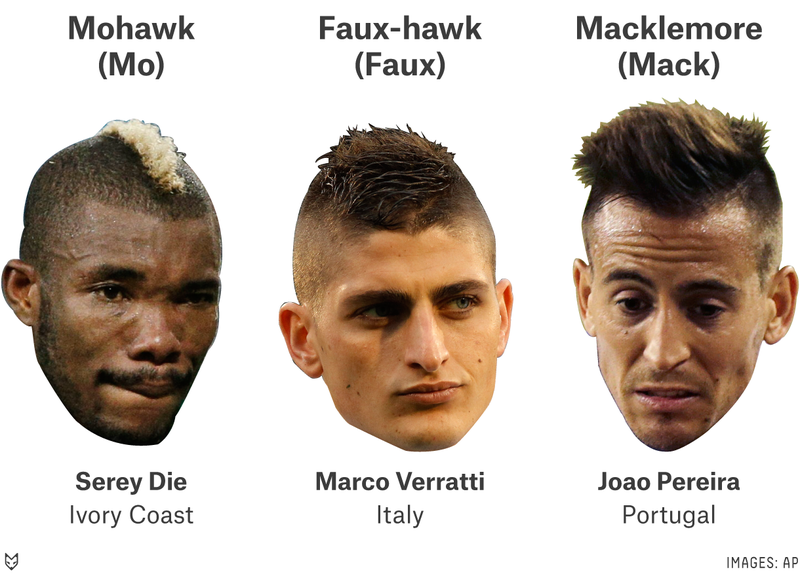 All told, in the group stage we counted 24 honest-to-God Mohawks, 31 faux-hawks and a whopping 36 Mackelmores. Neymar of Brazil, of course, is in a league of his own. 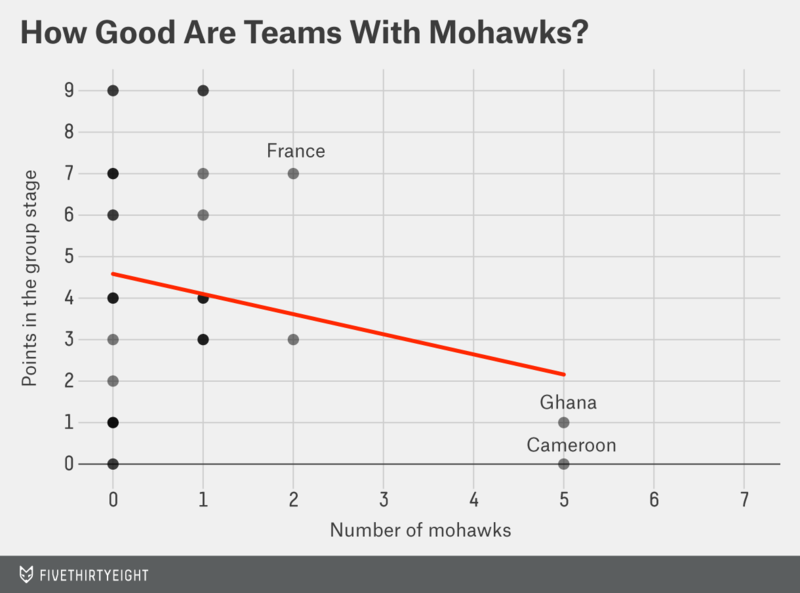 At five apiece, the Ghanaian and Cameroonian contingents had more mohawks than any other squad. Together, those two teams composed more than 40 percent of all inventoried mohawks. 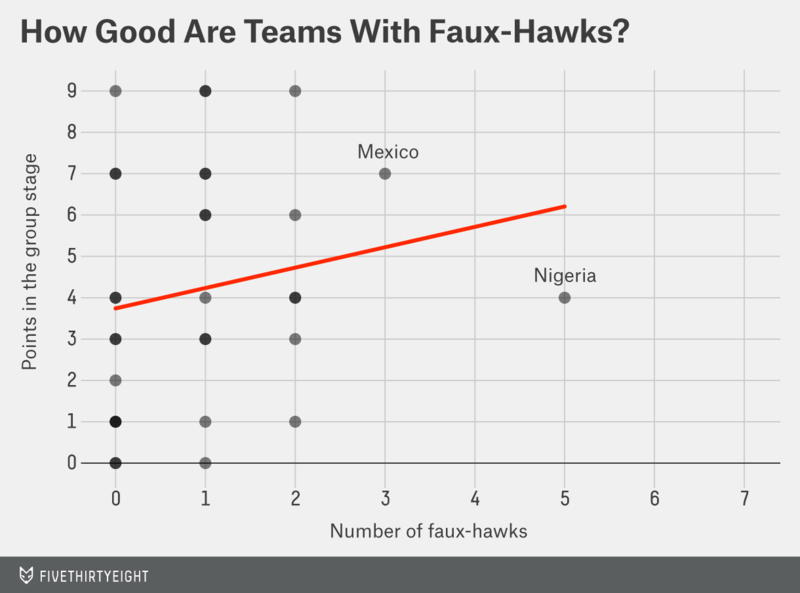 The Nigerian team had the most faux-hawks, and the Chileans had the most Macklemores (five and four, respectively). Russia, Costa Rica, Honduras and Australia were the only nations with unexciting, uninspiring hair. That’s pretty hairy (forgive us). But when we break it down by style, something fantastic emerges. 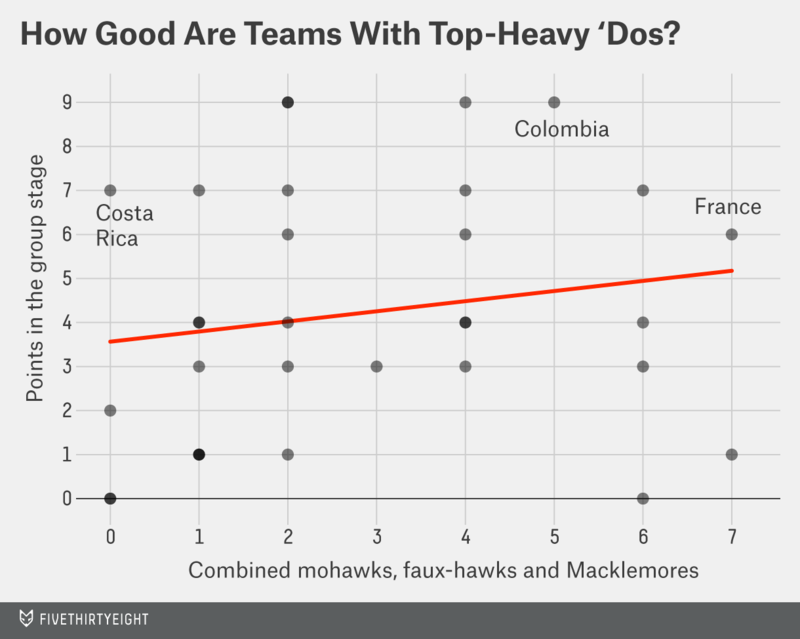 It appears that Macklemore-style haircuts are positively correlated with victory, and mohawks with defeat. And the trend has continued into the first knockout round. 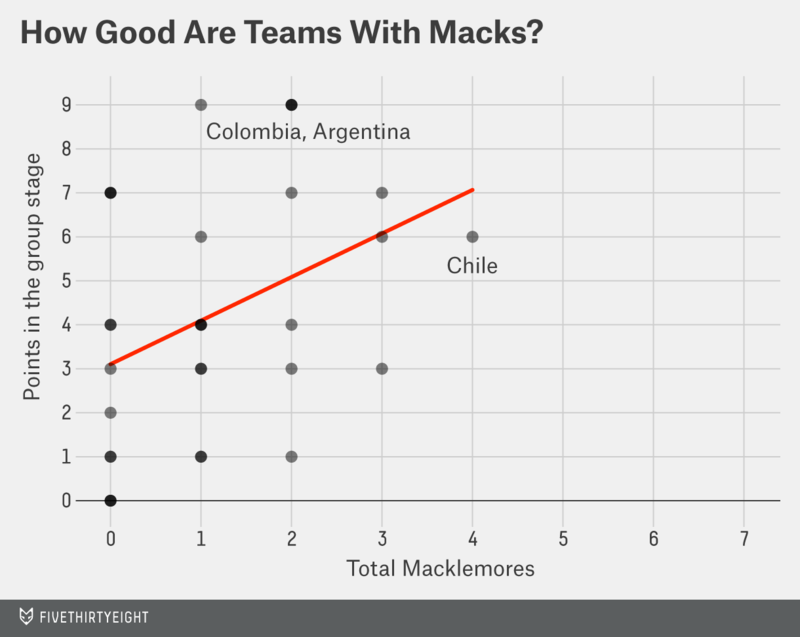 Of the eight games in the Round of 16, four matches had a team with a higher number of Macklmore-style haircuts than their competition. In those four contests, the team with more shaved sides and gross tops won 75 percent of the time. Is it a small sample size? Yes. Is it completely meaningless? Yes. Is there a shred of evidence that the hairstyles of a team member has any sort of impact on the athletic performance of a team? Absolutely not.